Your ability to persuade a technical audience, argues one Forbes article, determines your success in B2B marketing. This is especially true when selling to manufacturing leads and industrial companies. To engage and convert these prospects, you need to align with how they arrive at a buying decision. Like businesses in other B2B industries, manufacturing leads now firmly control the buying cycle and will only reach out to vendors when they’re almost ready to decide. That means you have little direct influence over what a prospect learns and discovers throughout most of the sales cycle. As much as possible, of course, you want to stay on top of your prospects’ minds during the awareness and consideration stages, so that when decision time comes, it’s your company they’ll do business with, not your competitor. One way to help ensure this outcome is to become very familiar with how manufacturing leads research and use information about business needs, available solutions, and potential vendors—then build your lead generation strategy according to this behavior. This blog post talks about the latest trends in content usage and consumption among technical buyers in the manufacturing space. By the end of the entry, you’ll have a better idea on which content types and topics best move manufacturing sales prospects along the buying journey. Across the world, engineers prefer case studies (81%), technical eBooks (75%), whitepapers (74%), and books (73%). Technical professionals favor online content sources, especially search engines (43%), vendor websites (43%), and trade publication websites (29%). 50% of engineers subscribe to at least 4 email newsletters. 92% of engineers tend to choose vendors that regularly produce content. Over half of engineers consider a company’s website as a key brand indicator. When filling out a web form, engineers tend to complete four fields: work email, company name, first name, and last name. 42% of engineers expect to be contacted within 24 hours after filling out a form on a website. For most engineers, around 60% of the buying process takes place online. Only 14% of engineers contact sales reps early in the buying process. Most engineers interact with a vendor 3 or 4 times before directly reaching out. In the US and Canada, engineers’ most-valued content type are how-to videos that are at least 3 minutes long. Across all age groups, engineers and technical professionals prefer case studies/application notes, but younger audiences tend to gravitate toward how-to videos. Engineers’ top offline content sources include tradeshows (33%) and trade print publications (33%). Engineers and industrial professionals in the survey do not think social media channels such as Facebook, Twitter, Google+, and Instagram are valuable sources of work-related information. Engineers rank content written by a technical expert at a vendor company as the most reliable source of information followed by third-party and supplier content. When going over their inbox, 50% of engineers focus on emails with intriguing subject lines and delete the rest. When filling out a web form, only 10% of engineers submit data regarding time to purchase. When viewing search results pages, only 9% stop at the first page, 61% reach page 3, and 25% make it to page 5. 42% ranks customer acquisition as the primary goal. 54% differentiate mainly on the quality of their offerings. 50% use both inbound and outbound marketing tactics. Email marketing, tradeshows, and social media make up the top three channels. A majority of industrial marketers plan to increase spending on their company website, content marketing, social media, and SEO. 39% are increasing their online marketing budget vs. 45% keeping their online budget unchanged. That’s what your fellow marketers in the manufacturing sector are collectively doing. Your exact lead generation strategy, of course, will depend on your unique goals, situation, and resources. We’ve seen that engineers and industrial professionals rely on emails extensively throughout the buying process, especially for educating themselves and learning more about a subject. Technical decision makers spend time in their inbox and won’t hesitate paying attention to emails that help them make informed decisions, even those from vendors. Technical buyers spend the first 60% of the purchase process researching and finding information online. That means where your prospects spend the final 40% will depend on the quality of online experience you deliver. Does your online presence enable prospects to smoothly move from one point in the buying journey to another? Can prospects quickly find the information and resources they need? Does your digital presence consistently reflect your brand? Engage your prospects across multiple channels with Callbox Multi-channel Multi-touch Marketing approach. Without answering this blog article’s question directly, it’s pretty clear that actionable information is the main driver in manufacturing leads’ path to purchase. Prospects gain useful information and insights by consuming content delivered in the buying context that the lead is currently in. Conclusion: There are many factors that drive a technical buyer’s purchase decision, but it all boils down to having the right information at the right time. That’s why offering information occupies a central role in lead generation for manufacturing companies. Need help translating marketing goals into an actionable marketing plan? Or turning strategy into results? Contact us today, and find out how Callbox’s lead generation services for manufacturing and distribution companies can work for you. Unless you’ve been living under a rock for the past five years, you’ve probably noticed things are evolving pretty fast in the management consulting space. That shouldn’t come as a surprise since, according to a 2013 Harvard Business Review article, management consulting’s fundamental business model hasn’t really changed much in more than a century, and it’s bound to get disrupted at some point. As my colleague Judy Caroll points out in a blog post last month, the tectonic shifts reshaping today’s management consulting industry are all signs of a major, long-overdue wave of “disruptive innovation.” After being largely undisturbed for a long time, the industry now finally faces a wide range of business challenges—including technological change, new business models, and fierce competition—that are all fundamentally transforming the entire sector as we speak. But how does all this disruption affect the way that management consulting firms find and acquire new clients? That’s what today’s post is all about. We’ll take a closer look at a few disruptive trends that specifically impact marketing for management consultancies, and then we’ll talk about some practical ideas to make sure your marketing strategy adapts to these changes. Anyone in the industry understands that management consulting is a client-driven business, which means that consultancies’ business models and strategies evolve along with clients’ changing requirements. That’s why marketing is among the business areas that need to continuously keep up with industry developments. More than 40% of respondents in the High-Growth Study rank increased competition as a top concern. Management consulting firms say they worry about facing mounting competition from both new entrants and well-established players. Although management consulting has the second highest median growth rate (at 9.3% for 2017) among professional services sectors included in the survey, this actually marks the second consecutive year of slower growth for the industry. In following article, we share tips and resources for useful competitor analysis and how you can use these insights to upscale your marketing strategy. The report also finds that as much as 38% of management consulting companies feel anxious about the changing ways that potential clients purchase services. Like buyers in almost all other B2B verticals, today’s consulting clients also follow a nonlinear, self-directed path to purchase with firms’ marketing and sales teams playing a lesser role in the process. The High-Growth Study suggests that this shift is largely due to the bigger importance potential clients place on social media, online search, and other non-traditional channels for finding and evaluating consulting firms. In fact, a significant percentage of referrals now come from people who haven’t previously worked with a consulting company. Consequently, the study also notes, an increasing number of consulting firms now build and boost their reputation through content marketing and thought leadership initiatives. Take a look at how the old purchase process has evolved into what we now consider as the modern B2B buying landscape. Moody’s Analytics and Consultancy.uk also describe another key development that’s accelerating the industry’s evolution: multi-sourcing. Multi-sourcing involves firms working with other companies or organizations to tap into niche expertise, often requiring partnerships with specialists outside the consulting space. As a result, large multilayered projects are no longer handled by a single provider and are instead distributed among different specialist firms. The gig economy also holds a huge sway over the changing management consulting landscape. According to InfoDesk, “crowdsourced” and freelance consulting arrangements have deemphasized the need for clients to enter into long-term partnerships with firms. Today, clients choose only the services they require at exactly the time they need. Around 36% of consulting firms surveyed in the High-Growth Study report facing increased downward price pressure. Much of the fee erosion comes as a result of the factors we’ve already seen earlier, but there are some other important points also worth mentioning. Increased competition, continued commoditization of traditional consulting services, and the rise of disruptive business models have expanded the number of cheaper options available on the market. For that reason, expertise-focused differentiation no longer cuts it like it used to when it comes to consulting firms’ pricing power, especially under the traditional time-and-materials markup model. Consultancy.uk echoes these findings by pointing out the widening division of management consulting into two distinct segments: a low-cost commoditized segment, and a high-value classic management consulting segment. With business challenges come business opportunities. As the pace of change in the management consulting marketplace continues to gain momentum, firms need to rethink some key areas in their marketing strategy. Check out our guide to developing a social media branding strategy – specifically tailored for consulting firms. We’ve already seen that simply relying on expertise to set your firm apart from the competition is no longer as effective as it once was. You need a fresh approach at differentiating your services in order to thrive in today’s management consulting ecosystem. As you very well know, knowledge and expertise are the main products of management consulting. That’s why showcasing what you have to offer through thought leadership initiatives forms the cornerstone of marketing for management consulting firms today. But with the entire B2B marketing world still trying to contain the fallout from the massive explosion in content, it can be hard to rise above the noise and build an engaged audience. Top-performing management consulting firms understand that it takes the right combination of different channels and multiple touches to attract and convert new clients. That’s why today’s consultancies need an end-to-end lead generation plan as part of their client acquisition strategy. In addition, management consulting’s complex buying cycle means that potential clients interact with your marketing initiatives at their own pace and in their own terms. For this, you’re going to need a robust lead management process to nurture prospects as they move along the purchase journey. Here are 4 effective ways to approach marketing for your consulting business that will help put your firm in a good position to land more clients. Conclusion: While it definitely look stormy ahead for the management consulting industry, these uncertainties can be an excellent source of opportunities for consulting firms with the right strategy for navigating the choppy waters. If your management consulting company needs a marketing partner to get the most out of the rapidly shifting industry, then Callbox’s lead generation services tailored for consultancies is what you’re looking for. Marketers in the B2B healthcare space face unique challenges that practitioners in other fields simply can’t fully appreciate. With an entire regulatory maze to navigate around and a slew of highly-specialized customer expectations to meet, healthcare marketers need to constantly evolve and develop creative solutions both more quickly and more carefully than their peers in other industries. Right now, as the pace of change continues to accelerate, many healthcare marketers remain on edge, wondering whether their strategies will still stay relevant in an ever-evolving healthcare landscape, while others simply haven’t yet taken stock of how their marketing programs measure up against all these developments. In this post, we’ll take a deep dive into the current and future state of B2B healthcare marketing, then identify and fill the gaps in marketers’ approach to meeting these pressing challenges. Let’s first take a step back and try to diagnose the biggest problems in B2B healthcare marketing today, and then dissect trends shaping the industry. Having a clear picture of your target buyer makes things so much simpler in marketing. But things aren’t as easy in the realm of B2B healthcare. Buyers in this industry belong to a class of their own, and this is largely what makes marketing in this vertical very challenging. Most buyers in healthcare are risk-averse and move very slowly through their purchase journey, especially with an overwhelming amount of options available to them. Healthcare companies tend to follow different budget cycles, typically in terms of fixed fiscal year periods, unlike other industries which can make purchases any time of the year. Healthcare companies form buying committees which make purchase decisions. This can slow down the purchase process since buying decisions require every member’s nod of approval. Many healthcare firms rely on a group purchasing organization (GPO) to negotiate and make the final purchase on their behalf. Growth in the self-directed path to purchase as 72% of potential buyers start off with a search engine query, and as buyers are 60% to 90% through the purchase cycle before reaching out to a vendor. Now that we’ve figured out which problems need fixing and why, it’s time to talk about ways to actually address these difficulties. An overwhelming number of your potential customers start out the purchase process with an Internet search. Your job as a healthcare marketer is to help your target buyers get the information they need. You must turn the bulk of your online presence into a tool that your target customers can use to glean actionable insights from the vast amounts of information available out there. More and more B2B buyers want a B2C experience. That is, they look for a unified, consistent experience with your healthcare brand, regardless of channel or device. In fact, a Forrester survey reveals that B2B buyers expect to view product information, analyze activities, complete transactions, etc. across different channels. From your website to your emails, to your social media presence, you need to deliver a coherent engagement experience to your target audience. Half of all B2B marketers use content marketing for thought leadership. That’s because thought leadership content influences buying decisions. According to a LinkedIn survey, as much as 39% of C-level executives said that thought leadership content had led to an RFP; and another 47% said it had resulted in a purchase. But becoming a thought leader in the healthcare space doesn’t happen overnight. It takes consistent value, quality content, distinct identity, and an engaged community. As digital research continues to be a go-to information resource for many healthcare buyers, influencers are increasingly becoming an important component in B2B healthcare marketing. Influencers can vastly expand the reach and engagement of your content, helping you make an impact on your prospects’ buying journey. Influencer marketing is all about quality over quantity. While influencers with a large audience can be promising, it’s influencers who have an engaged audience that will really help you out. Earlier, we learned about the healthcare buyer’s unique budget cycle and how this affects their buying decisions. To improve the quality of your touches, you need to keep this in mind, especially when timing your nurturing activities. Another way to align your sales process with your prospects’ path to purchase is to look at past campaigns and look for key milestones and include these into a sales timeline. The Takeaway: It takes the right approach to effectively reach out and engage potential healthcare customers. With these timely insights and guidelines, you’ll be in a better position to avoid making the usual B2B healthcare marketing mistakes and getting the right kind of results. Callbox has more than 14 years of experience in planning and managing campaigns in the B2B healthcare sector. Find out how we can help you generate qualified healthcare sales leads and appointments. Is it time to say RIP to the RFI? A recent Adage article says probably yes. The agency selection process is undergoing a major overhaul and, more crucially, the things that brands look for in a pitch are changing, too. In part 1 of this series, we look at industry trends that shape the way ad agencies connect and generate leads. All signs indicate that it’s a noisier and more crowded marketing landscape out there and that agencies need to step up their game to capture their prospects’ thinly-spread attention. But, as you may very well know, being able to tap into a steady stream of leads doesn’t necessarily mean it’s going to be smooth sailing ahead for your client acquisition efforts. You still face the difficult task of turning these opportunities into accounts. In today’s post, we’ll focus on one of the most critical items in the agency selection process: the agency new business pitch. Although they may not realize it yet, many agencies need to carefully rethink the way they approach pitching. As we’ll find out below, research suggests that the factors which shape a winning pitch aren’t exactly what most people in the industry typically expect. According to the adage article we referenced earlier, the agency pitch process has gotten shorter, faster, and better. Pragmatic conversations trump flashy presentations as the biggest factor that helps agencies win new business. As brands start to put more emphasis on substance over form when evaluating pitches, they’re digging deeper into candidate agencies during the selection process. Many advertisers prefer to meet the team who’s going to actually do the campaign (instead of speaking only with hand-picked senior agency people), while a number of agencies prioritize a team’s problem-solving capabilities (giving lesser importance to the quality of spec work). The shift away from the drawn-out pitch process largely stems from two key developments: marketers’ insatiable demand for content, and advertisers’ move toward project-based work. These create situations in the agency screening process where brands evaluate candidates based on speed and consistency, prompting agencies to streamline and shorten their pitch activities. 53% of clients evaluate at least 7 agencies for preliminary review. The average closing rate of agency new business pitches is 43%. Best-in-class agencies close 85% of new business pitches and are 6 times more active in pitching than the rest. Executives select an agency based on “chemistry” (96%), differentiation (82%), confident/articulate team (61%), passion for the client’s business (39%), and brilliant creative (33%). 50% of executives suggest agencies need to develop a new culture. 66% of agencies neither have a plan nor follow a methodology for winning new business pitches. 47% of ad agency professionals are dissatisfied with how their agency handles new business pitches. 41% of clients are not happy with their current agency’s strategy and thinking; they cite lack of proactivity (40%), unsatisfactory creative (39%), and search for new ideas (33%) as their agency’s biggest weaknesses. Earlier this year, content intelligence company Vennli polled 200 U.S-based professionals who worked either for agencies or for in-house marketing departments. The following tips and best practices on crafting a winning agency new business pitch are based on the Vennli study’s findings. We all know that the plural of anecdote isn’t data. While anecdotes about how your agency can boost a brand’s revenues may help your narrative, it’s solid data that wins deals. In-house marketers want to work with data-driven agencies since in-house marketers themselves need data to justify and measure their own marketing decisions. 89% of agencies that reported win rates of more than 50% typically carry out primary research when creating a pitch. 64% of agencies with win rates of below 40% conduct primary research when pitching. The biggest pitching mistake that agencies make is not showing how they plan to back up their claims to increase revenues. A data-driven agency enables in-house marketers to prove positive ROI. Agencies that value quantitative insights tend to work with high-quality clients. In-house marketers say the types of insights they’re looking for can’t be found in generic and inflexible pitches. In-house marketers don’t just want to find out what an agency can do; they want a new way of seeing their marketing situation. Agency pitches that deliver a fresh set of ideas for the company tend to do better than others. 41% of agency pitches with win rates of more than 50% report rethinking the client’s entire strategy as “extremely influential”. 23% of pitches with win rates below 40% cite strategic rethink as a crucial factor. In addition, there appears to be a gap between how much importance agencies and in-house marketers place on brand recognition’s role in influencing win rates, suggesting that there are more critical drivers at play than an agency’s reputation alone. 34% of agencies believe their reputation helps them win deals, while only 15% of in-house marketers think this is the case. 42% of in-house marketers say high value for cost determines which agency they choose, but only 13% of agencies think so. In-house marketers particularly look for competitive research and insight in an agency pitch. They think that agencies which thoroughly become familiar with a client’s competition tend to deliver better results. 82% of in-house marketers expect agencies to carry out competitive research as part of the pitch, but only 56% of agencies actually do this. 60% of agencies with win rates above 50% research the client’s competition, while only 44% of agencies with win rates below 40% carry out competitive research. You already know that in-house marketers deal with salespeople all the time. They’re already very familiar with (and quite possibly tired of) pitches that try to rush a close. To differentiate your agency new business pitch, offer a solution instead of aiming for a sale. 49% of marketers rank the ability to be flexible and adapt to change as one of their top three agency selection criteria. 41% of in-house marketers also place subject matter/industry-specific expertise in their top three considerations. 48% of agencies credit won deals to their industry-specific experience. The Takeaway: Unless you take the time and effort to refine your agency new business pitch to meet the demands of today’s in-house marketers, Your offer won’t have a decent chance of turning into a deal. Pay close attention to the industry trends we’ve highlighted in this blog post and apply these insights on your next pitch. Recent industry trends still mean tough times ahead for marketing and ad agencies. Competition continues to intensify, while growth in ad budget/spend remains subdued. As a result, the industry’s biggest agencies are now seeing their slowest rate of expansion since the last recession, and the outlook isn’t likely to improve any time soon. All this doesn’t bode too well for finding and winning agency new business. For an industry which thrives on balancing the revenue mix between new clients and existing accounts, an agency’s ability to tap into a steady flow of fresh customers can spell the difference between survival and disaster. In this two-part blog series, we’ll tackle recent industry research that shed some light into agency new business development. For part 1, we’ll dissect proven ways of generating ad agency leads, and in part 2, we’ll learn about how to make your new business pitch more compelling and relevant to today’s ad agency opportunities. According to R3’s 2017 New Business Report, creative agencies saw a 10% drop in new business revenue last year. The report mentioned that the decline came as clients continued to move campaigns in-house and opt for more flexibility through project-based arrangements. In 2017, around 80% of agencies predicted that clients would move some of their marketing activities to in-house teams. This forecast proved to be spot on as this year, Madison Avenue continues to feel the pressure as clients like P&G, Unilever, United Airlines, and others ramp up their in-house marketing capabilities. Stats compiled by HubSpot also show that the shift away from AORs toward project-based work has accelerated. Around 35% of agencies report that project-based work now represents more than 60% of their portfolio, which indicates a huge jump from just a year earlier when only 20% of agencies reported this number. Another key industry trend that’s driving agency new business is the widening disconnect between marketing budget and spending. As Forrester points out, there are currently “large gaps” between clients’ media budget and actual ad spending, stemming from a lack of transparency and a “black box” mindset common to both traditional and digital agencies alike. Now that we’ve caught a glimpse of how key industry trends shape agency new business, here’s how to translate these into actionable lead generation tactics. These are based on the findings from the RSW 2017 Agency-Marketer New Business Report. Paid channels cut through the noise. The report finds that 3 out of every 5 marketers receive 6 to 10 calls from agencies each week. This clearly means that it’s getting harder for agencies to reach their target decision makers. Unless a prospect happens to be actively looking for an agency, you won’t have much luck connecting through crowded channels. Paid channels like LinkedIn can help you stand out, especially when used with traditional touch points like emails and sales calls. This combination remains the most efficient way to reach qualified leads at scale. Another interesting result from the report is that, with the exception of email, the most effective tactics for winning agency new business consist of offline channels. So, this is probably an area you might want to look into as you refine your lead generation approach. It’s all about standing out in your niche. Looking for good talent remains one of the biggest challenges for marketers in 2018. Tweet this! Around 87% of marketers rank marketing automation capabilities as an important factor when choosing an agency. Tweet this! Almost 90% of marketers want an agency that specializes in their industry. These results are especially relevant to small and mid-sized agencies that compete with larger firms. Becoming an expert in your target verticals is the only way to level the playing field in a fiercely competitive arena. A solid process is half the battle. 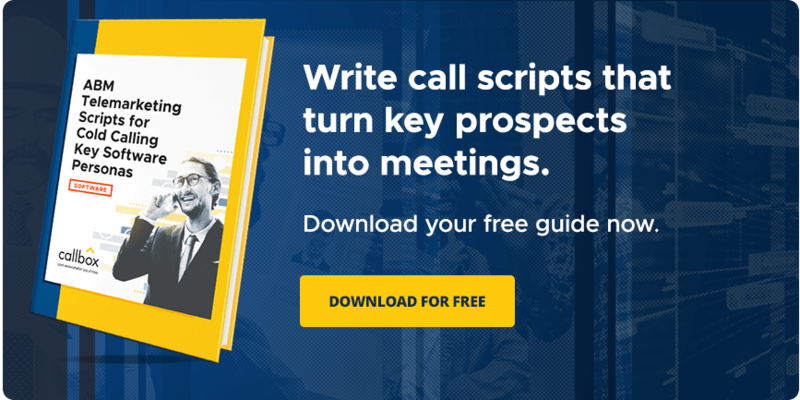 If there’s one key idea to glean from the RSW report, it’s that the number-one reason why lead generation campaigns fail is that most agencies lack a solid prospecting process. From researching potential clients, to qualifying prospects and handing them off as opportunities for closing, the process needs the right mix of techniques, tools, and people to properly function. Only a handful of industry players maintain robust sales enablement capabilities that equip their team with the information, content, and technology that help them connect with potential clients. The Takeaway: Now that we’ve gotten up to speed with generating agency leads, it’s time to focus on the next part of winning new business: your pitch. That’s going to be the topic in part 2, so stay tuned for that. The earliest known use of the term ‘Cloud’ to refer to off-premise computing and storage took place in a 1996 Compaq business plan. The document pretty much foresaw many of the things that would eventually make up early iterations of the Cloud. It accurately predicted how enterprise software would be replaced by web-based services and that users would access applications through the Internet, not on local machines—exactly a full decade before the official launch of AWS. Now, over 20 years on, as the Cloud transitions into what many folks in the industry consider as ‘Cloud 2.0’, it resembles very little of what it looked like even just a few short years ago. The Cloud used to be all about agility, scalability, efficiency, and cost savings. Originally implemented in stand-alone, low-risk business areas (such as web hosting, development testing, CRM, etc. ), the Cloud has now become a key component in almost every business IT portfolio. Today’s cloud architectures are smarter, dynamic, and (more importantly) business-critical. Alongside these sweeping changes, cloud customers have evolved, too. As I-CIO observes, modern cloud buyers look at cloud technologies not only as cost-saving measures but as part of their core business and overall strategy. Does the application help the buyer become a leading supplier and serve their customers better? Does the time it take to modify an existing application remain within business timelines? What are the costs of switching into and out of a cloud service? How does the vendor guarantee security and compliance? What is the level of interoperability and compatibility with other cloud services? To be more effective at reaching their target audience, marketers clearly need to become firmly acquainted with the different buyer groups that make up today’s B2B cloud market. Let’s dig into the findings of two recently published studies on cloud buyer types to help us get to know potential cloud customers better. Last year, Bane & Co. released a research brief ‘The Changing Faces of the Cloud’ which tracked the evolution of enterprise cloud buyers since the late aughts up to the onset of Cloud 2.0. The study identifies several distinct types of buyers and explains many of their defining characteristics. In a similar line of inquiry, ISG’s ‘Provider Lens Archetype Report 2017’ drills down on the different buyer “archetypes” that influence public cloud purchase decisions. The report draws a lot of interesting insight on each group and outlines what customers expect and demand from vendors. Transformational buyers consist of early adopters already heavily dependent on the Cloud. Performance and scalability top their list of factors for buying cloud services, and they tend to deemphasize cost savings as a purchase driver. Most transformational buyers look for innovative cloud services and work with vendors that offer best-in-class support. According to the Bane & Co. brief, transformational buyers already had around 40% of their IT environments running on at least one cloud service in 2011. By 2015, this number was close to 70%. But as a source of current cloud demand, transformational buyers no longer lead the market. In 2017, they account for 26% of demand for cloud services, versus 47% in 2011. These buyers are also starting to move some of their workloads to the Cloud, but are keeping their migration at a slower pace because of the complexity of their current IT systems and their future IT needs. As a result, heterogeneous cloud buyers maintain an entire mix of public and private cloud components in their IT portfolio. It’s typical for heterogeneous buyers to distribute their workloads across various SaaS, IaaS, and PaaS providers while keeping some of it on-premise. These buyers look to become public cloud users but are holding back due to a whole host of factors, mainly industry regulations, privacy laws, and security requirements. As a result, security-conscious cloud buyers tend to have the bulk of their cloud applications running on private cloud environments. They prefer to work with vendors that offer secure, dedicated cloud platforms. Bane & Co. estimates that security-conscious cloud customers make up around 20% of the market, while cloud spending represents 26% of their IT budget. Price-conscious buyers base their cloud investment choices chiefly on cost-savings. ISG describes this customer group as “pragmatic” cloud buyers whose number-one goal typically revolves around the practical use of cloud resources to make their workloads more agile, flexible, and cost-efficient. In their research brief, Bane & Co. argues that a price war in the cloud market has little impact on changing the attitudes of most customers toward the Cloud since price-sensitive buyers make up a relatively small percentage of the market. The price-conscious segment represents only 14% of cloud spending and around 13% of the customer base. Slow-and-steady (also known as traditional) customers have yet to migrate the bulk of their IT environments to the Cloud. This hesitation stems from a number of reasons including regulation, compliance, security issues, or organizational inertia. As such, this buyer’s IT portfolio consists primarily of mainframe and legacy systems. Bane & Co. believes that slow-and-steady buyers have the potential to become the largest customer segment in the cloud market. In 2011, they only had 1% of their workloads running on the Cloud. In 2016, it grew to 16% and, by 2018, it’s projected to reach 30%. The Takeaway: As both cloud services and customers continue evolving, vendors need to focus on a number of key marketing capabilities to ensure they remain relevant among their target buyers. It’s important that providers clearly identify the right customer segments for their services. As we’ve seen, different buyer types have vastly different expectations and requirements. So, it’s crucial to develop value propositions that speak to each unique group. We’ve been generating cloud computing leads for over a decade. Watch this video to to learn about our process. Data is the new oil. Whether you agree with that or not, there’s no denying that data is a valuable resource, especially now when companies of all sizes rely on vast amounts of data to gain a competitive edge. Today’s businesses create and use data at the fastest pace in history to keep the wheels of big data, analytics, machine learning and AI turning. All that data needs a place to live in. That’s why businesses’ demand for data storage drives many of the IT trends we’re seeing today. As much as 55% of survey respondents in Interop ITX’s 2018 State of Infrastructure study cite the rapid growth in data/data storage as the biggest factor behind their changing business IT systems. In the same way, Spiceworks’ 2018 State of IT report reveals that managed storage/backup continues to be a prominent item in most companies’ managed services spending, coming in second place after managed hosting. But businesses want more than just petabytes upon petabytes of additional storage space. They need new solutions to extract more insights from their data resources in ways that best meet their goals. As a result, data storage use-cases have evolved beyond typical functions like disaster recovery, business continuity, internal control, and regulatory compliance. Of course, vendors and providers have been quick to adapt to these new requirements by offering setups like software-defined storage, flash, hyperconvergence, hybrid cloud, collocation, etc. But these emerging technologies have so far only managed to produce a mixed track record. In fact, users and customers experience a variety of persistent pain points from their current storage implementation, either due to these solutions’ inability to solve an existing business problem or from a newer set of difficulties that switching to (or staying with) these platforms has brought. In any case, these unmet challenges create plenty of opportunities for managed storage vendors. In this blog post, we’ll take a closer look at the most pressing storage problems (as mentioned by a handful of recent industry studies) and walk through some practical ways to leverage these pain points in your own marketing strategy. Which Pain Points Hurt the Most? Storage users’ headaches largely result from accelerated data growth, but this problem tends to affect different buyers in different ways. Two recent studies shed some light on what exactly bothers today’s storage customers. But first, it’s worth finding out what buyers actually want to achieve with the plethora of storage solutions available at their disposal. Storage vendor DataCore polled 426 IT professionals representing a broad range of workloads and found some striking responses about storage customers’ goals. More than half of respondents cited simplifying management of different storage models (55%), future-proofing their infrastructure (53%), and avoiding hardware lock-in from vendors (52%) as their top priorities, while around 47% wanted to extend their storage assets’ useful life. Cloud storage failed to reduce costs: Around 31% of respondents said their cloud storage implementations didn’t yield any cost savings. Object storage is difficult to manage: This was the top pain point cited by 29% of respondents. Storage systems didn’t lead to performance gains: As much as 16% of the polled IT professionals reported that flash failed to speed up their applications. Meanwhile, 451 Research surveyed nearly 500 enterprise storage professionals and found results comparable to the DataCore study. It blamed the rapid growth in data usage and requirements as the main reason behind most companies’ storage woes. The study also uncovered emerging pain points, including growth from new applications (top of mind for 22% of respondents) and storage migrations (cited by 21% of respondents as their number-one pain point). What Do These Symptoms Point to? Pain points indicate an underlying problem. So, to effectively communicate the value you’re offering, you need to show that your managed storage solution resolves the main issue and not just alleviate the apparent symptoms. Taken together, the top storage pain points we’ve met earlier show three main trends. 1. Storage customers aren’t getting the most from their current vendor. An overwhelming majority of customers say their current storage solutions fail to deliver the results they expect. Avoiding vendor lock-in also appears as one of the top priorities among storage users. This underscores opportunities for your managed storage company to step in and fill the gaps left by what the competition offers. Actionable Tip: In most B2B purchase decisions, prospects are already doing business with an existing vendor. This is especially true for today’s storage buyers as they’re increasingly partnering with providers to help them meet their data management challenges. That’s why a key tactic in your marketing strategy should help target customers evaluate how things are going with a current vendor. 2. The buyer’s current storage is a loose patchwork of several components. Findings from both the DataCore and 451 Research studies imply that businesses currently rely on complex and cumbersome storage implementations. Nearly 6 in 10 companies want to streamline how they manage multiple storage models. In addition, difficulties in handling storage objects, managing data in multiple third-party cloud applications, and performing storage migrations are all top challenges that users face. Actionable Tip: B2B buyers oftentimes need to work with a dizzying number of vendors and solutions, each fulfilling a specific function in the overall business process. Your target customer might benefit from choosing a vendor that provides everything they need or helps them simplify the way they combine different storage solutions together. 3. Buyers want to build capabilities, not just expand capacity. It’s clear that storage challenges are becoming more complex, and it’s no longer solely about finding more places to store data in. As businesses want faster databases and sharper analytics, storage is now about optimizing performance and enabling real-time delivery. This additional layer, in turn, puts more strain on existing infrastructure, complicates storage workflows, and increases storage costs. Actionable Tip: Storage needs have moved away from simply acquiring more capacity toward actually managing storage resources. Data storage responsibilities now cover both on- and off-premise data assets, which make the challenges even more difficult. As a vendor, you can help solve this problem by providing comprehensive, integrated, and hybrid solutions. The Takeaway: Marketing managed storage solutions isn’t simply about features and pricing, it’s about addressing real business pain points. Customers buy in order to solve a problem, and they buy from vendors that understand what they’re facing. How do you leverage your customers’ pain points in your own marketing strategy? Gain insights into information drawn from Callbox past marketing campaigns. Try out our new ‘My Industry Insights’ tool and accurately size up your target verticals. FinTech continues to see double-digit expansion, and much of the market’s growth now comes from B2B FinTech. Opportunities in payment platforms, SME lending solutions, and SaaS-enabled back office tools have investors lining up behind B2B-focused FinTech companies. That’s according to KPMG’s latest report on the industry, which also points to regulatory technology (regtech) as an additional growth driver for the segment. Accenture thinks alternative finance powers a huge part of the current B2B FinTech trend. B2B FinTech companies are filling the gap left by banks’ withdrawal from SME lending, leveraging big data analytics to enhance the creditworthiness assessment process. This means that instead of directly competing with banks, a lot of B2B FinTech companies actually complement traditional financial institutions. Accenture says this approach makes many of the B2B FinTech’s business models readily scalable and sustainable (not only in alternative lending but also in payment processing and workflow streamlining). It can be hard to convince potential buyers about adopting an unfamiliar product. The typical FinTech firm hasn’t yet established brand recognition. Limited marketing budgets often mean fewer marketing options. But, as we’ll learn in this post, any B2B FinTech company can handily meet these customer acquisition challenges by focusing on the buyers and the process they follow. The buyer-led, consensus-based path to purchase requires vendors to be a proactive part of the buying process. While buyers prefer self-directed research, vendors that actively help potential customers find what they need will be in a better position to influence prospects and win the deal. To help you translate this into something more concrete, today’s blog entry answers three key questions about B2B FinTech buyers and their purchase cycle. This post pulls together findings from the latest research on the FinTech industry so that you’ll get data-driven marketing insights, not simply anecdotal advice. Who actually makes the buying decision? Respondents in a survey of B2B FinTech buyers carried out by PR firm CCGroup say they make a major IT investment once every six months. The challenge lies in the fact that FinTech purchases rarely involve only a single decision maker. More than 7 decision makers are involved in B2B tech purchases. Around 48% of Gen Xers contribute to B2B tech buying decisions, while 41% of millennials provide input to tech purchases. The average tech committee consists of technology/engineering roles (44%), external-facing roles (23%), back-office roles (21%), and other roles (12%). Millennials rely on industry analysts 38% of the time when evaluating a tech purchase, followed by vendor face-to-face meetings (36%), and vendor website (33%). Baby boomers mostly consult industry analysts (50%) as well as colleagues (49%) and vendor face-to-face meetings (48%). Gen Xers refer to colleagues and vendor websites (both at 40%) as well as analysts and tradeshows (both at 38%). Actionable Tip: Two interesting trends stand out from these findings. First, B2B FinTech buyers seek out various sources that influence their tech buying choices. Second, these factors influence the different groups of B2B buyers in diverse ways. In order to get into the B2B FinTech buyer’s radar, you need to increase your visibility with the people and platforms that influence your target audience. What do they want to know about a product or vendor? To help them gain internal buy-in, 49% of B2B tech customers use product cost information, while 43% prefer ease of integration. Reliability makes up the top concern for both large firms (with more than $10 million in annual sales and small companies (less than $1 million in revenues), while mid-sized firms put ease of use on top of the list. B2B tech buyers consider pricing information as the most helpful resource during the purchase stage. Longlisting stage: FinTech buyers at this stage want to know if a specific vendor is knowledgeable enough about the latest industry trends. Shortlisting stage: Potential FinTech customers that are shortlisting vendors look for candidates that understand the challenges and priorities of their buying audience. Purchase stage: During the purchase stage, FinTech buyers look for evidence that a vendor has successfully delivered to similar customers. Actionable Tip: With both IT/tech and non-IT/tech departments involved in the purchase process, it’s clear that buyers want more than just product specifics. Buyers look for information about how the product impacts other departments in the organization, especially since FinTech solutions tend to cut across business areas. As a result, B2B FinTech buyers are increasingly looking for strategic partners, not just one-time vendors. While there’s no one-size-fits-all approach to influencing B2B FinTech buyers, there’s also tremendous value to be had from getting to know your potential customers up close. The key thing to remember is that buying decisions are made by teams instead of individual decision makers. Moreover, these decision makers need different types of information as they identify and evaluate their choices. Your job as a marketer is to help them make informed decisions.